HMT (Head Measurement Technology) combines with the GC2 to precisely capture club head data with an ease and accuracy never before seen. 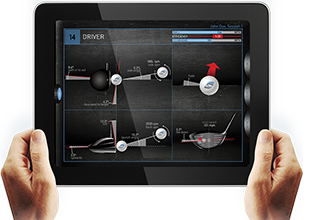 With HMT, the most comprehensive analysis of a player’s swing and club head performance is now at your fingertips. Instantly see critical data such as club head speed, horizontal club path, smash factor, dynamic loft, and lie—even impact location—with the same unmatched accuracy you’re used to in the GC2. 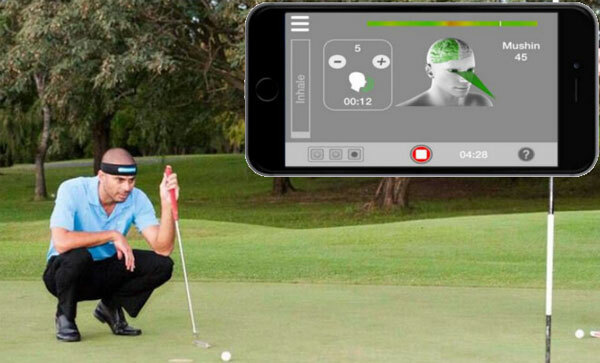 Unlike other technologies that derive club head performance from indirect analysis, HMT uses the same proven, camera-based approach to performance analysis found in the GC2. Easily applied position indicators on the club head insure all critical club head data is captured. Every club can be tracked – from lob wedge to driver – and like the GC2, it works on grass or mats both indoors and outdoors. Developed and tested to the same exacting standards as all Foresight Sports products, HMT uses stereoscopic cameras in combination with the GC2 to deliver incredibly accurate club head speed and data analysis with every shot. Compatible with every GC2 device, HMT requires only a cable to connect. No additional power is required, and just like the GC2, a green light indicates when the device is ready to capture data. With HMT, players have two options for seeing data – display swing information on the GC2’s LCD screen for instant viewing, or use our Performance Simulation software to visualize, capture, sort, and save club head performance in real-time. Easily generate reports on critical data such as club head velocity, club paths, and smash factor. Reports can even be emailed. Never before has a technology provided real-time ball-flight and club head analysis with this level of accuracy, consistency, and reliability. Combined with the GC2 Smart Camera System, HMT Head Measurement Technology finally delivers a solution that provides a full range of performance – from club head to ball launch – including impact location on the club face. BodiTrak Sports is a leading-edge sports technology company, focused on the interaction between and athlete and the ground. An athlete’s use of ground is critical for maintaining balance and generating power. Our sensor technologies provide real-time data – a window into that ground interaction – and we (with our team of advisors) work to make that information insightful for you. BodiTrak Sports uses proprietary sensor fabric technology developed for the healthcare industry. Our sensor and custom software scan the surface over a hundred times per second to relay real-time information on how an person interacts with the ground. Our custom software takes this sensor information and makes it insightful & actionable. The technology is fully patent-protected, durable and quality-assured. 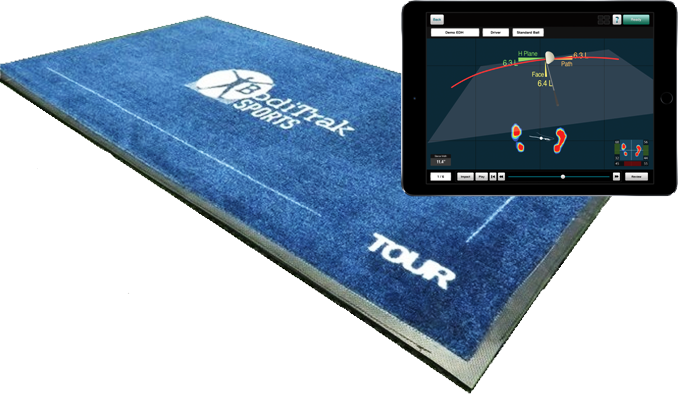 BodiTrak is a pressure mat that captures a golfer’s balance indoors, outdoors, uphill, downhill, even on a putting green. It has a flexible design that makes it very versatile and easy to move to the next hole or even the golf course. BodiTrak mats have been used for nearly a decade in medical rehabilitation and research. What is Center of Pressure (COP)? Center of Pressure (COP) is an average of the pressure exerted by your feet at any give point in the swing. Using BodiTrak, we can measure your COP in a static way at address or during the entire swing for live review. What we are looking for is how your feet interact with the ground to help you swing the club more efficiently and improve your ball flight. I have used BodiTrak very effectively to increase distance by helping golfers understand how to move their weight during the swing. 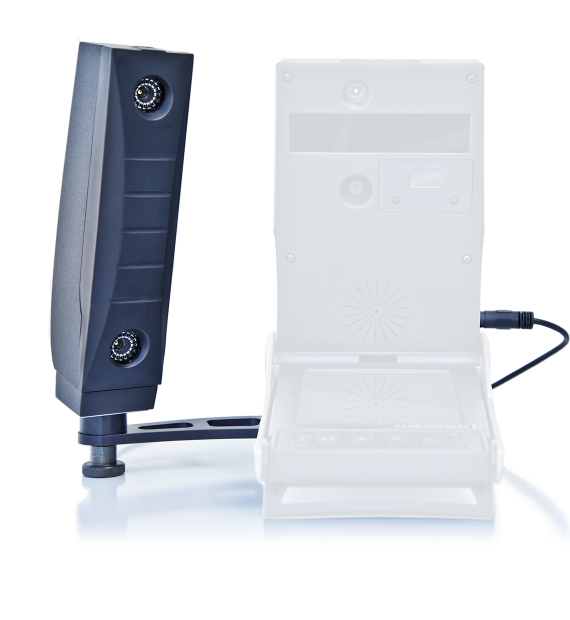 MySwing Professional is a wireless, full body (17 Sensors), indoor/outdoor, 3D motion capture system. 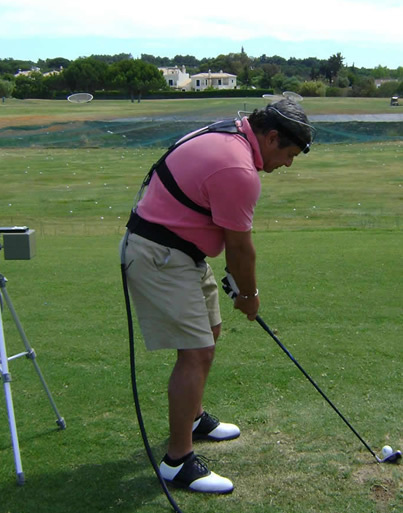 It’s an awesome technology that gives the ability to see what the body and club are doing during a golf swing. Data has never been more important in golf. Quantifiable data is a must and MySwing is one solution. The angles, speeds and velocities of the golf swing are vital to a full understanding of the motion. We can prevent injury, improve performance, and speed up the learning process. When a player is swinging their best, we like to capture what the body is doing to produce a certain ball flight. 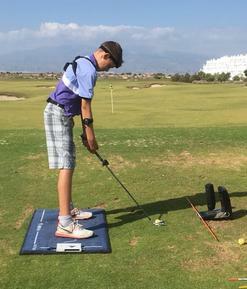 It’s also equally important to capture the poor swings to identify the areas for improvement. Our association dates back to 2004 in Spain and in 2007 in Portugal. We were pioneers and the only professionals to operate with the Golf BioDynamics system in Spain, Portugal, Marocco and Brazil – where resulted as the Golf BioDynamics Iberian. In essence, Golf BioDynamics provides a service to the golf industry, by acting as expert consultants to teaching professionals, physiotherapists and conditioning coaches. 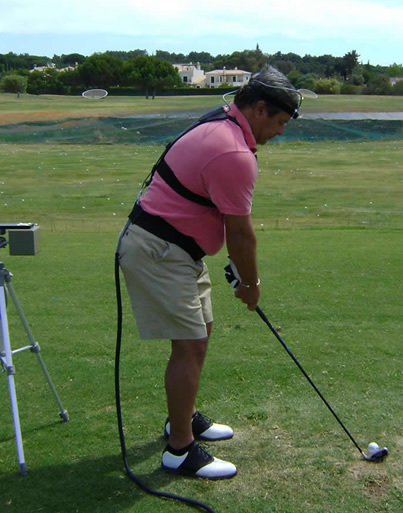 Using the latest in 3D biomechanics equipment, Golf BioDynamics provides expert interpretative biomechanical reporting on body motions during the golf swing. That is, ‘real time’ position and orientation of parts of the body (e.g. head, shoulders, arms, hips, club, etc.) 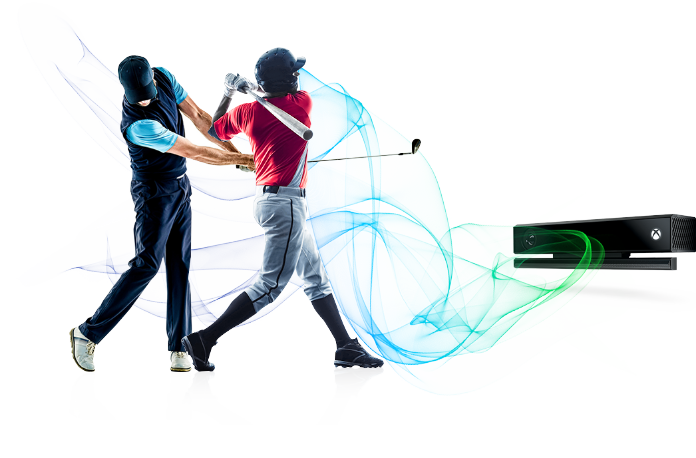 are recorded as the golfer swings the club – all in 3D. 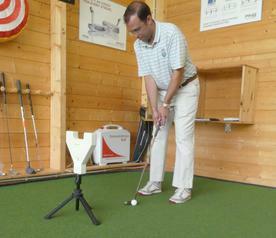 Although most popular for long game analysis, the GBD system is also available for short game/pitching and putting. 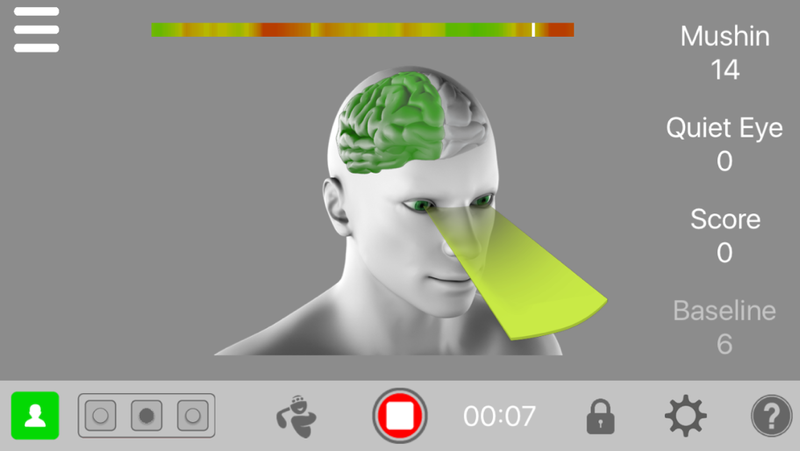 The measurement system is coupled with a capacity for biofeedback training – one that is proven to speed up the learning process. Take video analysis a step further by adding a third dimension! 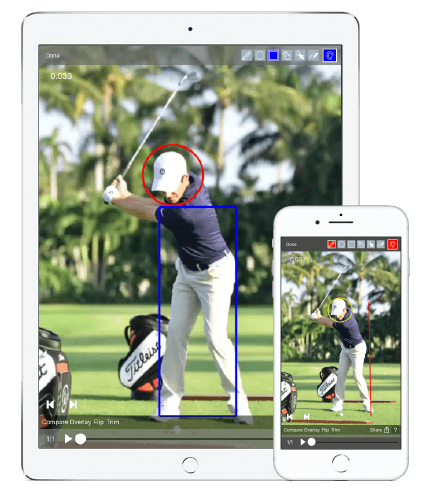 Video analysis is still a vital part of modern golf coaching. Visual information is one of the most powerful ways of learning. We are a V1 Branded Academy which means that all our students are sent video reports for every lesson, which are stored in their own student account. All past video reports can be re seen, and the student has their own lesson history which they can access as and when they like. 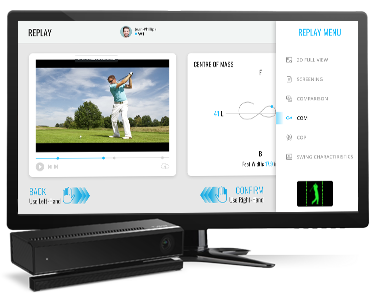 V1 Pro is the #1 video swing analysis system in golf. From local golf pros to top PGA instructors, thousands of golfers’ swings are analyzed and improved each year using V1 Pro. 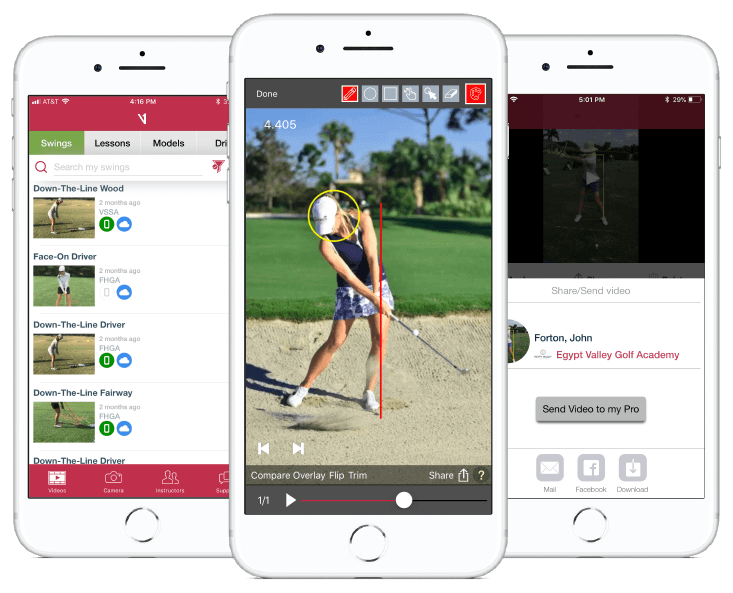 Through our partnership with the PGA of America, V1 Pro has become the most preferred swing analysis system of America’s Top 100 Golf Instructors as well as the world’s best tour players, golf courses, and academies. SAM Puttlab is the long established, and undisputed market leader in putting stroke analysis in the world. 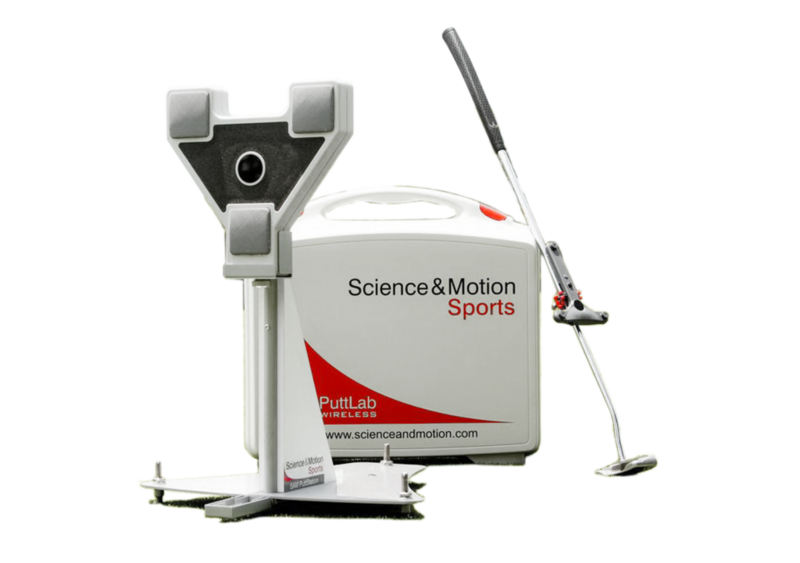 The worlds most accurate and comprehensive putt analysis and training system. Other technology lacks accuracy, which is so much needed for putting, or only measures few aspects of the putting stroke. It gives 28 parametres of the putting stroke, including face alignment, path, impact as well as the rhythm and tempo of the swing, amongst others. Using SAM Puttlab, in conjunction with Boditrak, 3D analysis, and video analysis helps to build a complete picture of what is happening in your swing, and what your own personal optimum numbers are. It is a must in putting analysis. 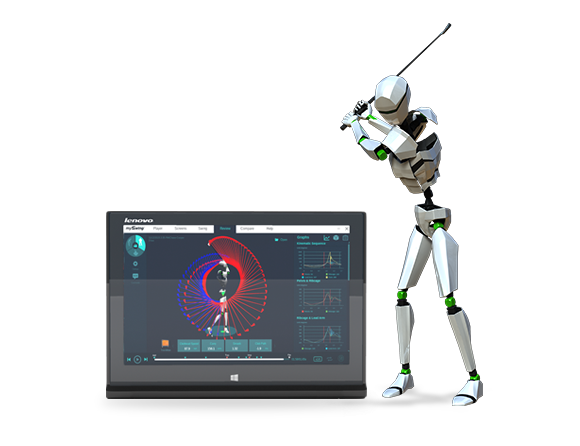 3D Golf BioDynamics uses cutting edge technology and software to help you achieve your true golfing potential. 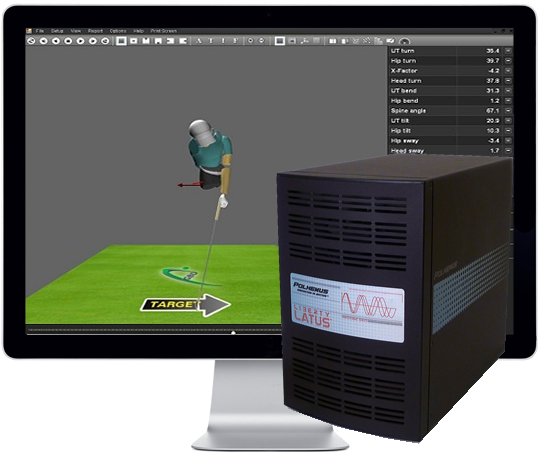 This is the most accurate 3D system available and is used throughout the World by Touring Pros and Elite amateurs. The system allows accurate measurement of all parts of your swing including rotations, rotational speeds and sequencing of the swing. This shows where your swing can be made more efficient and hence more powerful. 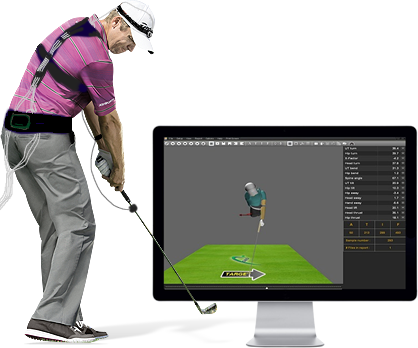 Whereas 2D, video, shows you the look of a swing, 3D tells you whether your swing works! The system can also help identify physical issues such as lack of flexibility, stability or strength. Working together with Physiotherapists and strength and conditioning coaches we can offer the complete performance improvement package for all golfers. This technology allows the golfer to hear an audible bleep when the either the correct or incorrect movement is made. Any part of the body can be monitored from the hips to the head to the hand. It is accurate to 2.5mm and 1 degree so exact and specific corridors can be set. The use of the biofeedback rapidly improves the speed and understanding of the learning process. Everyone from professional to recreational golfer can use the system. From small ajustments to basic fundamentals, the system allows different results combined with the physical condition of each individual. Plus, our physiotherapist will interpretate the 3D report and highlight any physical issues that may be desacelerating your learning process.